Have you ever wondered why insurance plans usually cover dental cleanings? It's because cleanings work. Regular cleanings and checkups are the best way to avoid cavities and to keep your gums healthy. Can't remember when you had your last cleaning? Let's take care of it together. Schedule your regular cleaning today by booking an appointment online or calling Barbara Baxter, DMD in Washington, DC. Dental cleanings begin with a quick exam. A dental professional at Barbara Baxter, DMD visually looks at your gums and teeth, checking for any apparent abnormalities. At this point, you may also be taken for X-rays. Once the plaque and tartar buildup has been scraped off, the dentist or hygienist uses a high-powered brush and special toothpaste to give you a thorough brushing, followed by a professional flossing. Lastly, you may receive a fluoride treatment to support healthy tooth enamel and fight bacteria until your next visit. What is the main purpose of a dental cleaning? The main focus of the exam portion of dental cleanings is preventive care. By screening you for common dental problems, including tooth decay and gum disease, Dr. Baxter detects signs of trouble early on when treatment is most effective. Another aspect of preventive care you experience at routine dental cleanings is fluoride treatment. A natural mineral, fluoride helps keep your teeth strong and healthy while preventing cavities. During a cleaning, you wear a mouth tray lined with flavored fluoride for just a few minutes. How often should I schedule cleanings? Your dental cleaning frequency is unique to you. Twice a year is the standard recommendation. If you have a history of gum disease or another oral health issue, you may want to have your teeth cleaned more often. Take the American Dental Association's advice and discuss your dental cleaning needs with your dentist. Even with common procedures like routine dental cleanings, consulting with the expert team at Barbara Baxter, DMD about your particular situation is an essential part of getting exceptional care. The health of your mouth and your general health go hand in hand. Your mouth is connected to the rest of your body, and oral health is integral to good health. A study published in 2016 indicated that routine dental cleanings might reduce the risk of pneumonia. The hypothesis is that dental cleanings lessen the number of bacteria reaching your lungs. Diabetes, cardiovascular disease, and other conditions have also been tied to oral health. Regular dental cleanings, checkups, and conversations with your dentist are essential to maintaining good health. Take a step toward better health. 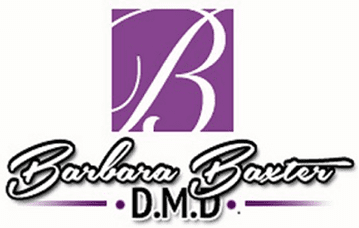 If you need a dental cleaning, schedule your appointment online or call Barbara Baxter, DMD today.